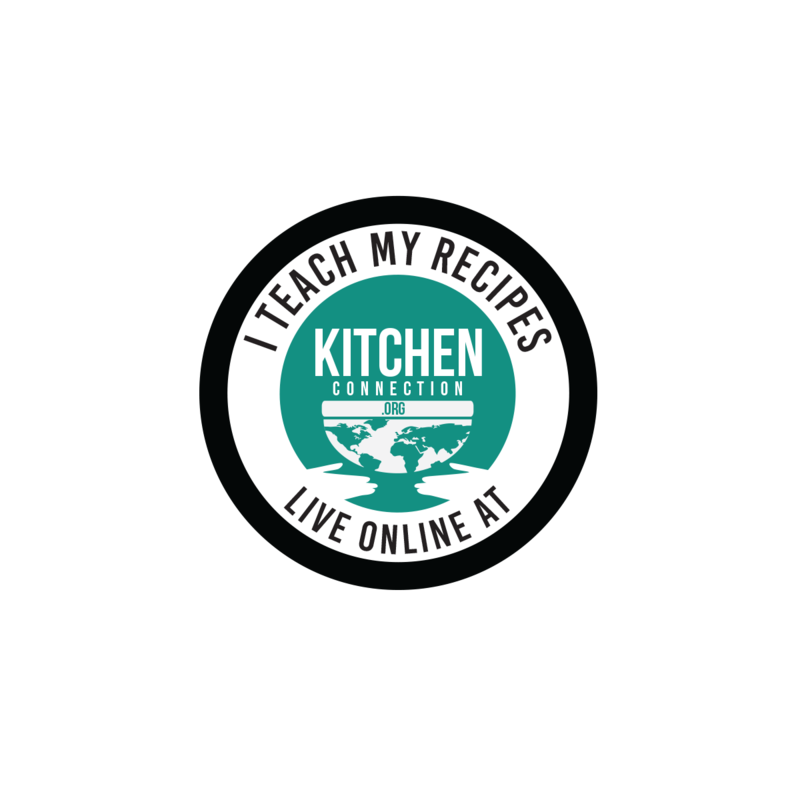 Want a very spicy and tasty side dish to go with Curd Rice? 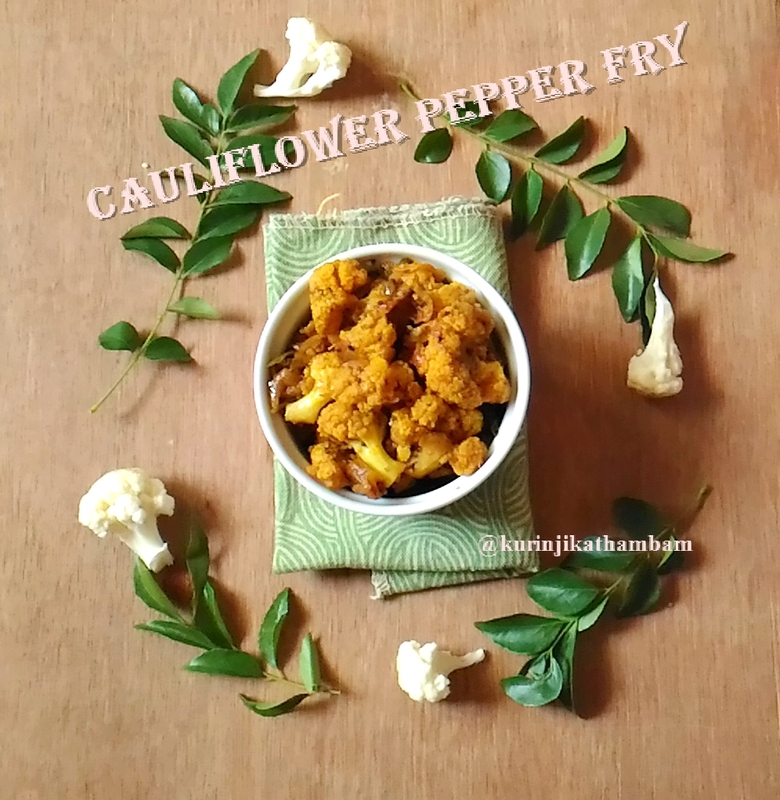 Try this Cauliflower Pepper Fry, a easy and quick to make fry recipe. 1. Chop the cauliflower into small size florets. 2. Heat 4 cups of water, then add turmeric powder and salt. Mix them well and add the cauliflower florets. Leave it for 5 mins. 3. Drain the water completely and wash them twice with normal water. 4. Remove the skin of the onion and chop it into small pieces. 5. Wash and chop the tomato into small pieces. 6. Powder the fennel seeds with pepper corns using the dry mixie into a coarse powder. 7. Heat the oil in a pan, add mustard seeds and wait for popping. 8. 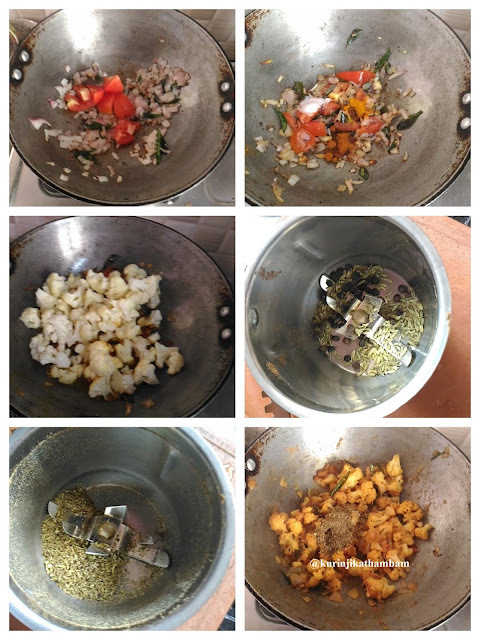 Then add the curry leaves and then add the chopped onion, sauté till the onion becomes translucent. 9. Now add the chopped tomatoes and fry till the tomato becomes mushy. 10. Add the turmeric powder, red chilli powder and salt. Mix them well and cook for few seconds. 11. Now add the cleaned cauliflower florets and ¼ cup of water. Mix them well and close the lid of the pan. Cook till the florets become tender. 12. Now add the fennel-pepper powdered (from 6), mix them well and cook for 2 mins or until the mixture becomes dry. Yummy and tasty Gopi pepper fry is ready to serve.